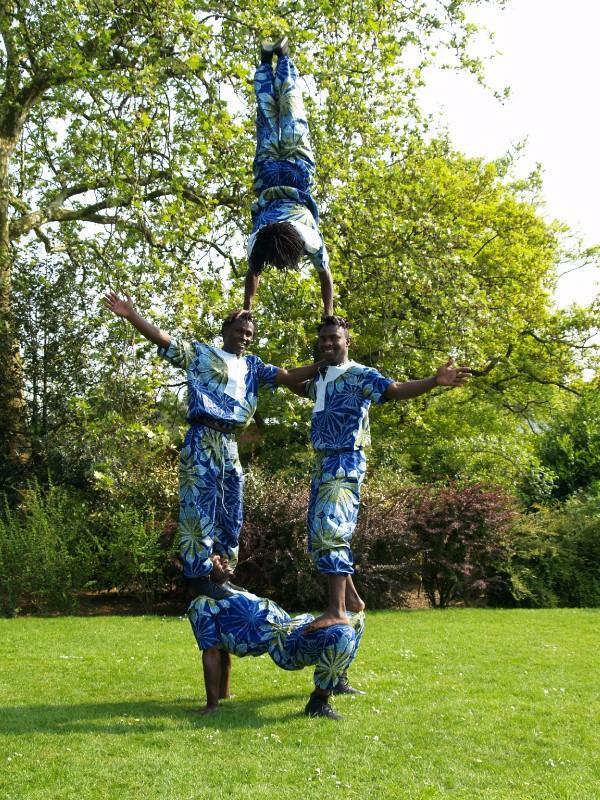 The African Acrobatic Pyramid Troupe is lead by Emmanuel, one of the best acrobats in the UK today. 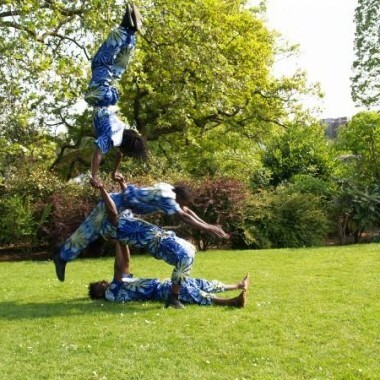 The African Acrobatic Pyramid Troupe is lead by Emmanuel, one of the best acrobats in the UK today. He has over 20 years experience in entertainment, sharing the stage at many prestigious events alongside numerous world renowned performing artists. 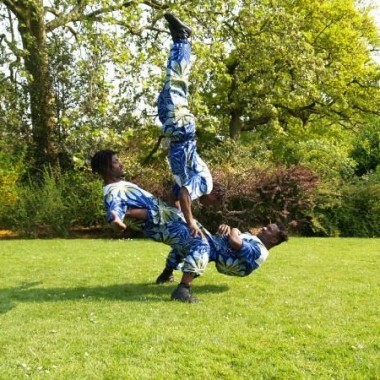 He has been successfully developing his multiple talents since the age of five with the training he received from his Chinese trained Acrobat Circus Skills Master in Accra, Ghana. 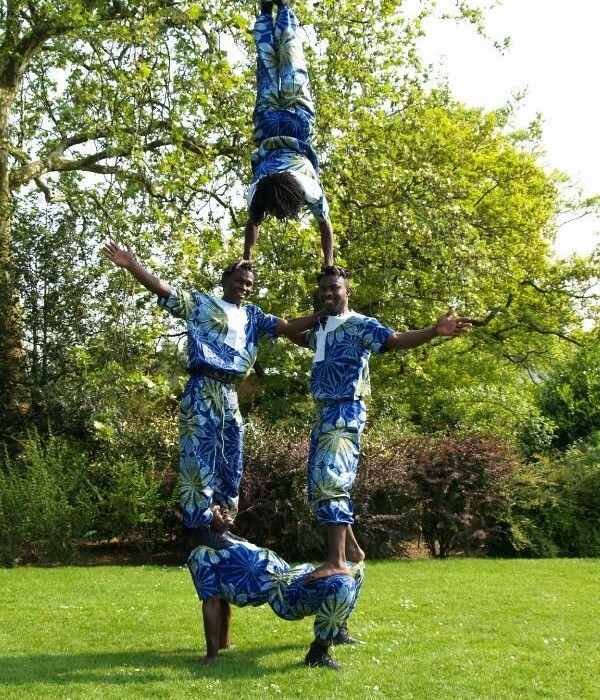 His diverse skills include: back flips; human pyramids; spinning up to six large bowls; fire eating; juggling; uni-cycling; limbo dancing; stilt walking; roller-board balancing; stick manipulation; animal mimicking; clowning; magic tricks etc; and the best traditional live music and dance from West Africa. The troupe’s awe-inspiring performances are electrifying and provide an unforgettable entertainment experience for all. The format consists of Emmanuel with up to three other artists who perform spectacular dance and acrobatic combinations. The shows (and educational workshops run in conjunction, if required) promote cultural awareness. They are fun, engaging and orientated to suit people of all ages and backgrounds in schools, local communities, theatres, festivals, corporate events, at special occasions etc. The breath-taking performances of Emmanuel and his troupe have been seen across the UK and world wide including: WOMAD Festival, Spain; Summer Festival, Hungary; New Jersey Carnival; Dubai Shopping Festival; Millennium Dome/O2 Arena; Alexandra Palace MOBO Awards alongside Youssou N’Dour; Royal National Theatre; Royal Festival Hall; Barbican Centre, London; Notting Hill Carnival; Edinburgh festival; National Theatre, Ghana; African Cup of Nations, Accra Sports Stadium and many more.